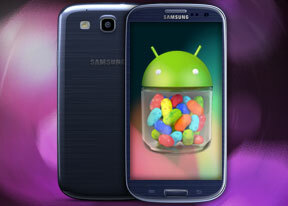 The official rollout of the Galaxy S III Jelly Bean update has finally started. In the next few weeks it should land on just about every Exynos-powered S III unit out there, letting it have a taste of the latest and greatest from Android. The Samsung competitors all reinforced their high-end lineups, so the Galaxy S III needs all the help it can get to fend off the attacks. The timing of this release seems quite great too - none of the Galaxy S III direct rivals has managed to get to Jelly Bean base yet, so the Samsung flagship will have another advantage in this battle for at least a couple of months. 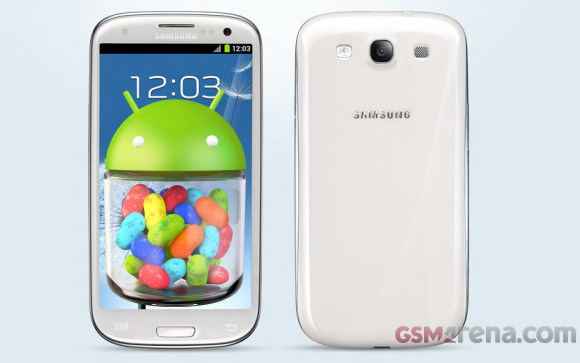 Here's the rundown of the novelties that the Jelly Bean update brings to the Samsung Galaxy S III. The biggest question is surely how Flash support is handled with Jelly Bean. Well, if you already have Flash installed on your device, it will stay there. This means that you won't be giving up on anything if you update and that's great news indeed. However, if you didn't purchase your Galaxy S III in time to install the Flash player apk before Adobe pulls it away, you'll still need to side-load it. Back when Google announced the Android 4.1 Jelly Bean release, it mostly focused on Project Butter and how it finally makes the platform as smooth as its competitors. However, back then many were wondering if device like the Galaxy S III, which were quite fluid on ICS already, will actually feel the improvement. Later, it turned out that there's far more to the latest Android release - Google Now and offline voice typing are quite nice things to have, while the notification area got even better than before. Yet will those be enough to keep the Galaxy S III competitive? iOS may have basically skipped a turn this year, but Microsoft's WP platform might finally be ready to make an impact. Let's waste no more time and find out - we'll start with the user interface right after the break. How do you remove safe mode from the screen?